As everyone's favorite melancholy Dane might say, there are more ways to film Hamlet than are dreamt of in your philosophy. You could do like Olivier and go repressed, stately, "the story of a man who couldn't make up his mind." You could take a more histrionic approach, as Mel Gibson and Franco Zeffirelli did in 1990. You could take four hours and bite off the whole thing (Kenneth Branagh, 1996) or you could go slick and modern and be done quickly (Michael Almereyda directing Ethan Hawke, 2000). The trick in any case is to make the play alive and relevant to contemporary audiences. That's exactly what makes the film version of the Royal Shakespeare Company's Hamlet (BBC Warner, $19.99) go down easy, even if it's not quite a palpable hit. Arriving on DVD next week, RSC's adaptation is modern without becoming overly clever. Even at three hours, it zooms along, thanks mostly to a cast that wrings the essence from each line and a script that makes judicious textual slices. The characters jump off the page and make the language come to life, which is half the battle in getting everyday audiences to sit down with the Bard. The cast standout is Patrick Stewart, who gives Claudius an air of the suave, confident power player (and does double duty as the aggrieved ghost). When he stands to interrupt the play within a play, he doesn't shout, "Give me some light!" Instead he adopts a "tsk, tsk" countenance, saunters toward Hamlet (David Tennant) and purrs the line. He's the man in charge; his nephew is the waffler. Tennant's Hamlet is a mixed bag. He certainly embraces the "antic disposition" promised early in the play, mugging it up whenever approached by Polonius (Oliver Ford Davies, a pitch-perfect toady). But he brings quiet anguish to the "To be or not to be" soliloquy, shot largely in close-up, and he never feels less than real. 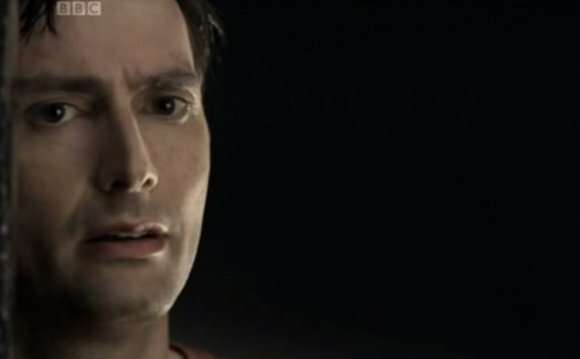 It's a famously difficult part, and Tennant doesn't let our focus waver. Some of the contemporary touches are just right. Claudius, suited and booted, could be a cutthroat corporate titan; Hamlet, in T-shirt and jeans, is the rebel incapable of action. Other moves seem forced. The surveillance cameras on the job in Elsinore Castle are a bit obvious, and they've been done before. The actors wear modern dress in this film adaptation of the 2008 Royal Shakespeare Company production. This film version of Hamlet first aired in the U.K. in December 2009. Oscar Redding (born ca. 1974) is an Australian actor, screenwriter and director. Portrayed Alexander Pearce in "Van Diemen's Land" (2009). He also co-wrote the film with director Jonathan auf der Heide.